How to: Play Your PS Vita, Remote Play With a DualShock 4 Controller. 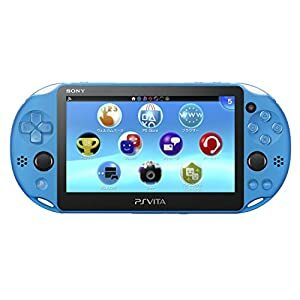 Instructions on how to connect both a PS Vita to a DualShock 4 controller to a Playstion 4, to play remote play. Follow this step-by-step guide to playing your PS Vita remote play using a DualShock 4 controller and within 2 minutes you could be reclined on the sofa picking up where you left off like an absolute boss! I have an errand quest for you ! Bring before me the magical portable gaming window, the controller of destiny, the grand holder of strength and I dropped a little scrap of paper in the forest surrounded by high level orcs! 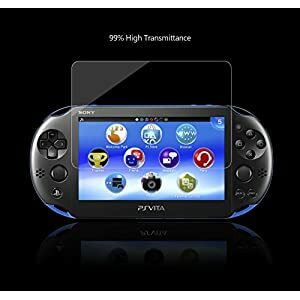 Fetch that as well and I’ll grant you the experience to PS Vita remote play. PS Vita: You’ll need yourself a PS Vita. DualShock 4: On it’s own the PS Vita can remote play with a Playstation 4, however the location of the L2/R2 and L3/R3 buttons make it somewhat tricky to play all but the most simple games. Game Control Mount: This device was developed by Sony to attach a smartphone to a controller for a remote play experience. However, we’re going to make it fit to the PS Vita. 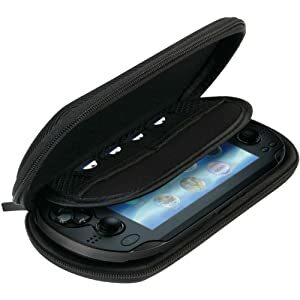 I would caution against the admittedly cool looking PS Vita holders with attempt to change the PS Vita into the more familiar Dualshock 4 shape. Now, while more useful than not having it, it doesn’t compare to being able to use a Dualshock 4 controller. If you’re getting wrecked in online play due to bad PS Vita controls then you only have yourself to blame unless you follow this guide. Scrap bit of card/paper: This bit is important. I’ll tell you why, later! First, create a new account on your PS4 if you don’t have another one already. This can be a basic account that you only use when you are remote playing if you have no need of a new account for any other reason. Second, prepare the PS Vita. Make sure you backup all your data that needs backing up and then factory restore it. 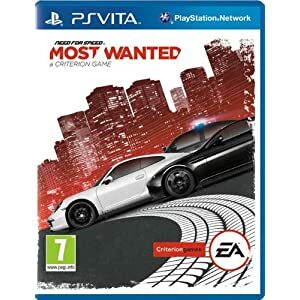 The PS Vita can only hold one account at a time and for this to work it needs to be your other account that you have just created on the PS4. 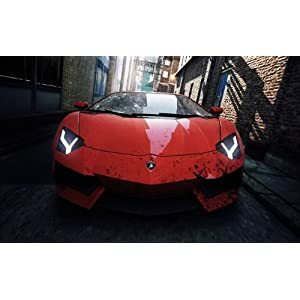 Games available on the PS4 are streets ahead of the PS Vita games and using this trick is going to mean that any of your PS4 games become viable remote play options. Overall, PS4 games = more fun. Wipe your tears, you’ll have more fun playing Fifa remote play. 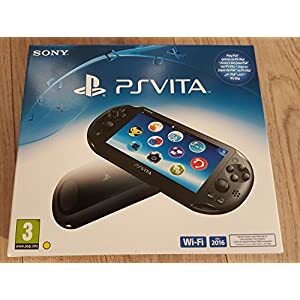 Sign into your PS Vita using your other account and pair it with your PS4 to form the link between the two and test that it connects ok.
Connect the PS Vita to your DualShock 4 controller via the phone mount. It shouldn’t take you more than a couple of minutes to figure this out. 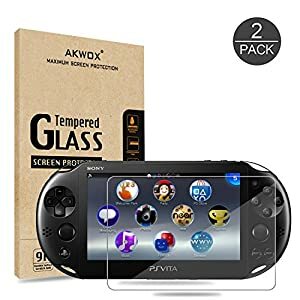 The sucker on the back is just big enough to firmly attach the PS Vita using the flat touchpad on the back. Give it a wobble a few times to make sure it’s secure. Right, so now you are setup, how do you make this work? 1. 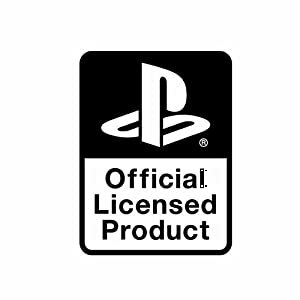 Be signed into your primary account on the Playstation 4. 2. Make sure the DualShock 4 controller you will be using is also signed into the Playstation 4. 3. Make sure you are logged into the secondary account on the PS Vita. 5. It should connect displaying the screen of your Playstation 4. The PS Vita is acting as a secondary screen to what you would normally see on the tv. 6. Give the sticks on the Dualshock 4 controller that is linked to the primary account a wobble. As this controller is linked to the PS4 and signed into your primary account you should be able to control the screen on the PS Vita. 7. Before you start gaming there is one more thing you need to do. Remember the bit of card? 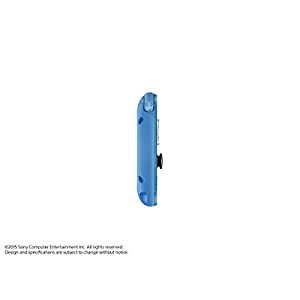 Slide it under the PS Vita left directional stick so that it tilts it to the side. This vital step saves you the annoyance of having to touch the screen every couple of minutes to stop the screen from turning off after 5 minutes of play. Meaning you can game uninterrupted. 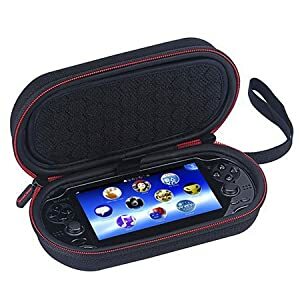 Protect your next generation portable handheld console wherever you go with CTA Digital's EVA Travel Protective Case for the PS Vita. 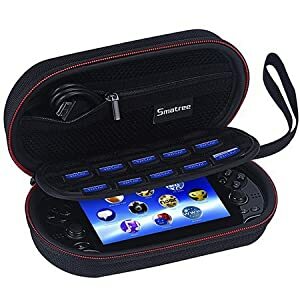 This travel case made of durable EVA material and soft fabric interior lining is specially designed to fit around the Vita and helps protect it from any bumps or scratches. 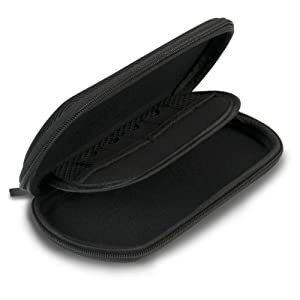 A padded divider inside the case provides additional protection and storage space for games, memory cards and small accessories. 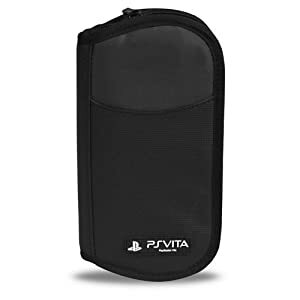 Take your PS Vita everywhere with CTA Digital's EVA Travel Protective Case for PS Vita. 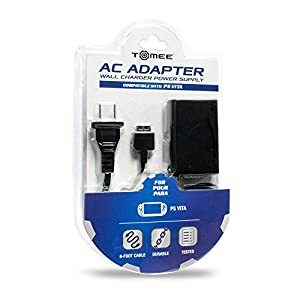 Extend your PlayStation®Vita battery life with the official Portable Charger. 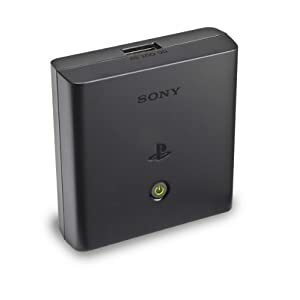 This plug and play external rechargeable battery carries 1.5 times the charge of the PS Vita internal battery. 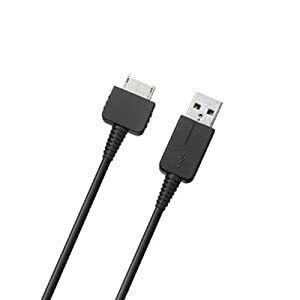 With a sleek and lightweight design that’s easy to store, keep your PS Vita charged no matter where you go. 『Enough Slots』: 10 slots for game cartridges or memory card. 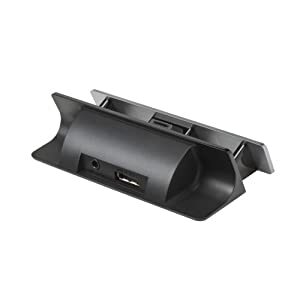 Dock and charge your PlayStation Vita with the sleekly designed Cradle. 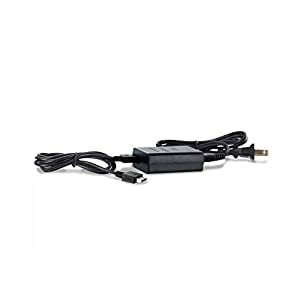 As the perfect home base for your PS Vita, you can connect your powered speakers or headphones to fill out the audio experience. 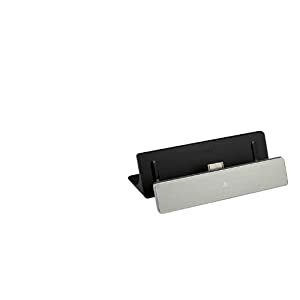 Ideal for your desk, workstation, or bedside table, it displays your PS Vita at a perfect viewing angle for watching movies and videos. 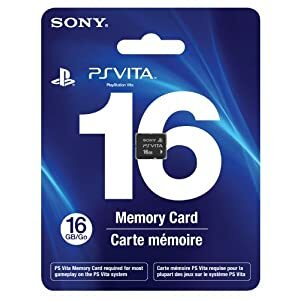 Enjoy all of your digital entertainment with the 16GB PlayStation Vita Memory Card. 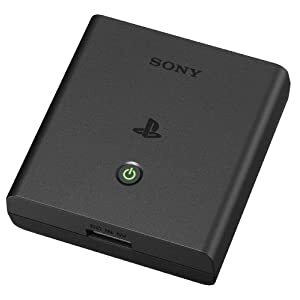 Store your game saves, PSN downloads, and personal media on this memory card. Should We be Avoiding Sugar?? Should you pay more attention to what you eat? Digital Expert, Online Entrepreneur, All Round Good Guy.Misha Cunningham reviews and analyses todays tech and shares handy hints and tips to survive in this digital age we live in.